Maine Drilling & Blasting has been very proud and fortunate to work as a subcontractor on many of the industrial wind turbine projects in Maine. These projects have included Mars Hill, Stetson, Roxbury and both phases of Kibby Mountain. As employee-owners, everyone in our company has benefited from the more than two years of work that has supported our families during this very difficult economic period. Many of us have retained our jobs purely because of these projects. Beyond the fact that much of MD&B's current business is based upon wind farm construction, wind energy gives us opportunities for our families to contribute to the energy future of the State of Maine. We take pride in these projects. They are important to us. We build them with Yankee ingenuity, and as members of these teams, we are proud and productive. On wind power projects, MD&B engages many groups inside and outside the company: permitting groups, engineering groups, drillers, blasters, laborers, rock bolt installation specialists, mechanics, management, administrative staff, rock bolt suppliers, grout suppliers, explosives suppliers, equipment vendors, fuel providers, and housing opportunities. Each group has a stake in the project and benefits financially, as well as in career growth. Get a free drilling and blasting wind energy project quote! We offer free project quotes, just reach out and we will make it happen! Wind power is already creating jobs and millions of dollars worth of economic and community benefits statewide. It provides local investment, energy independence, energy price stability and environmental benefits. 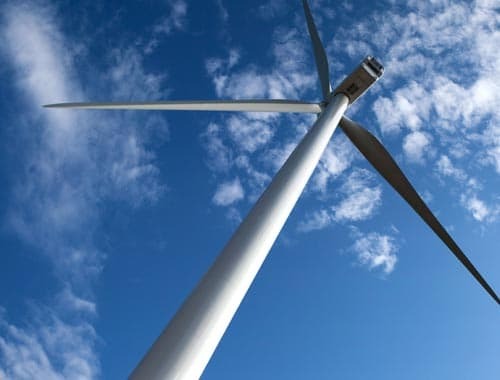 Right now, the wind power operating and under development in Maine is generating employment opportunities, tax revenues, opportunities for local construction and contracting companies, and the potential for component suppliers and composite manufacturing within the state. Maine is already experiencing the economic ripple effect from wind power development. For just one wind power project, Stetson Mountain, about $50 million (of the $65 million spent for construction, engineering, and development services) was spent here in Maine. This includes more than 130 Maine companies large and small. Mainers are being trained in-state for this growing industry. Additionally, Maine businesses are developing expertise in wind power construction that helps position them to compete for jobs throughout the northeast. 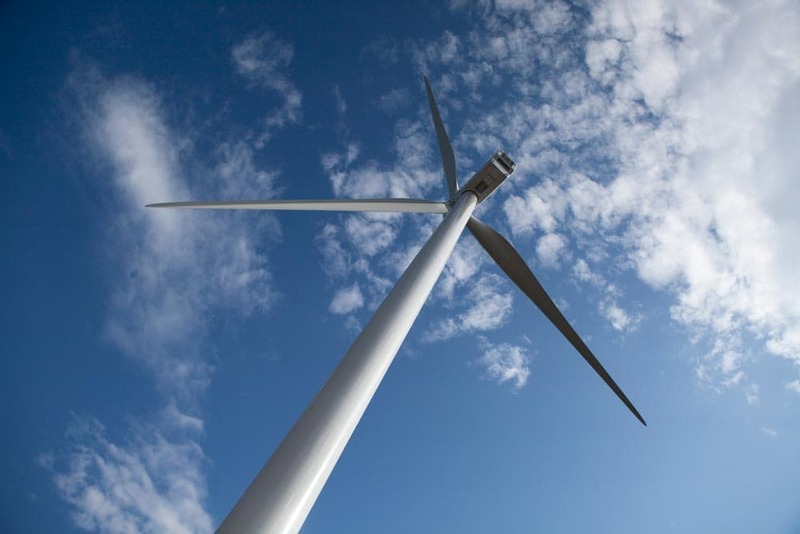 Maine has set a goal of building 5,000 MW (megawatts) of wind power by 2020. This amount of wind power would bring $4-5 billion dollars in economic investment in Maine, creating several thousand construction jobs, over 1,000 long-term jobs, more than $25 million/year property tax payments, and over $6 million/year direct payments to local landowners. i. If Not Wind, Then What? “Building wind farms in Maine is more than just a job. You have to have a “Get it done” attitude to do this work. I take pride in my work. Foremost is do the job safely, and then do it productively. I take ownership of the safety and production quantities in these wind energy jobs, as does my crew. They aren’t there for just the paycheck, either. They want to drill – that’s pride. “Being on a mountain is a challenge with the weather, cold, windy conditions, and high elevations. It starts with access. The logistics of getting the crew, powder, and supplies to these sites is a real test. Our teams work hard enough as it is, so we’ve developed special transports to bring them in so they don’t have to walk a mile or two just to get where we need to be. We have to be able to get everything we need up there, whether we have to bring powder or bulk in with a truck if possible, or with a skid. It starts with senior management and comes right down to me. That’s a challenge that I enjoy taking on. Taking on the larger projects is what I like doing: addressing the daily challenges to coordinate the different areas, the changing conditions, to look ahead to the next day, to get together with the contractor to make sure that area’s ready, etc. I have to make sure that the paperwork is correct, too. “Once we’ve cleared the way, our work on the tower foundations is a lot more technical than just blasting a road. You’ve got to make sure you get it right. Figuring out how to reduce safety hazards, while getting the jobs done quicker and more efficiently with less labor is something to be really proud about. “Seeing the outcome of your hard work – after you see the windmills all up – it’s very gratifying. Working with the other contractors and developing good relationships is the bonus. It not only benefits the project, but also helps us all, and our local economy, in the end. “I take a lot of pride in being part of the windmill team, and having successful results. I feel we are doing something good for the environment and our families. We take a lot of pride in doing the jobs safely, and on time. There are many challenges these projects bring to the team, but by putting our heads together we can get the job done. At the end of the project we feel proud of doing something good for everyone, and being part of a winning team.